Many of our moms-to-be seek our advice and customized treatment with the hope that their pregnancy will be free of discomfort, anxiety and reduced activity. A high percentage of these women also know that skilled chiropractic care can also optimize the health of their unborn baby and help them to manifest a birth outcome that’s free of drama and complications. Dr. Ciresi is a certified Webster practitioner, and her mission is to help her sisters-of-the-heart experience the pregnancy and birth plan they’re hoping to have. 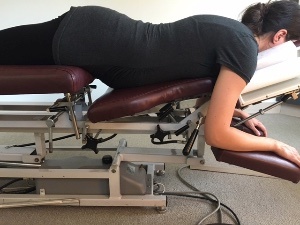 We feature specifically designed drop-away treatment tables that provide comfort and ease, accommodating growing bellies as our moms-to-be safely lie face-down as they’re adjusted. 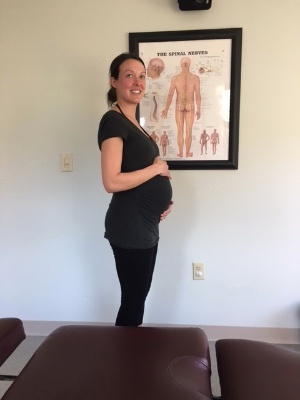 Research has demonstrated that those women that turn to chiropractic care during the nine months of their pregnancy not only feel better and remain more active, but provide great benefit to their growing baby as it maintains optimal positioning in the womb. These factors usually contribute to a birth process that’s free of complications and unwanted interventions, with a shorter and safer delivery. Our moms-to-be feel “heard” and understood when they partner with us in their care. Our goal is to enrich the lives of both you and your future newborn, and she’s always available to not only provide exceptional treatment, but to lend an understanding ear, a warm hug or wise counsel. She knows that your nervous system is under stress due to the physical challenges and chemical changes in your body, and she understands this well. Your well-being and ongoing health is her number one priority. Dr. Ciresi is herself the mother of three daughters, and understands the importance of chiropractic care during pregnancy. Her own positive experiences have fed her evolving passion to help other women during this special time in their lives. No X-rays are required when you join our family practice for specific prenatal chiropractic. Our moms-to-be respond quickly and positively to consistent care, and are our “ideal patients.” Are you expecting or experiencing a difficult pregnancy? Why not give us a call?